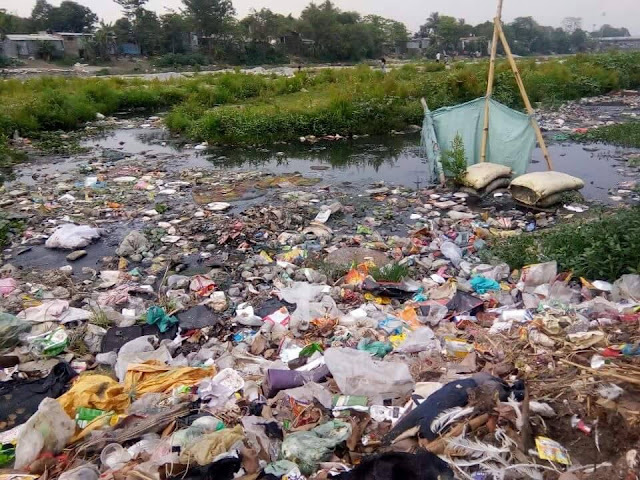 The Siliguri Municipal Corporation will conduct a drive at the end of this month to evict illegal cattle sheds and constructions from the bed of the Mahandi (Mahananda) river. The decision, SMC sources said, follows a directive by the National Green Tribunal on a PIL filed by Calcutta-based environmentalist Subhas Datta to save the river from pollution and encroachment. "Based on the order from the NGT to remove encroachers from the river bed, we had a meeting at the SMC yesterday. The meeting was held in the presence of officials of several departments like irrigation, fire services and police. Councillors, including deputy mayor Rambhajan Mahato and leader of the Opposition Ranjan Sarkar, were present," a civic body official said. "At the meeting, we urged the irrigation department to prepare a report within a week mentioning the area of the riverbed that has been encroached," the official added. The deputy mayor, who presided over the meeting, said: "In the first phase, encroachments adjacent to the municipal crematorium will be cleared. There are over 30 illegal cattle sheds and over 100 illegal constructions that will be removed." SMC sources said a board meeting was expected on April 24. After the meeting, the civic body will launch the drive along with the concerned state government departments.